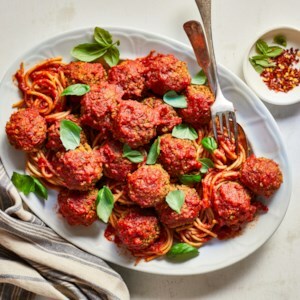 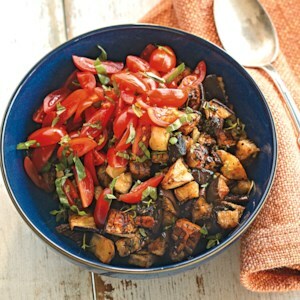 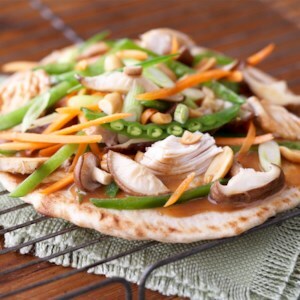 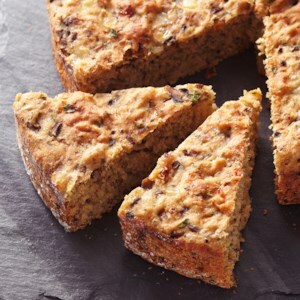 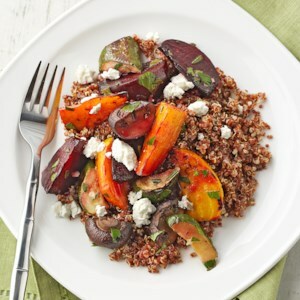 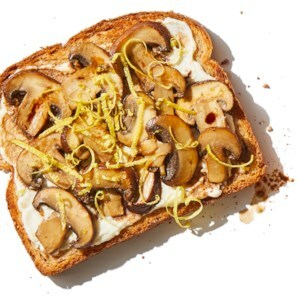 Find healthy, delicious vegetarian mushroom recipes, from the food and nutrition experts at EatingWell. 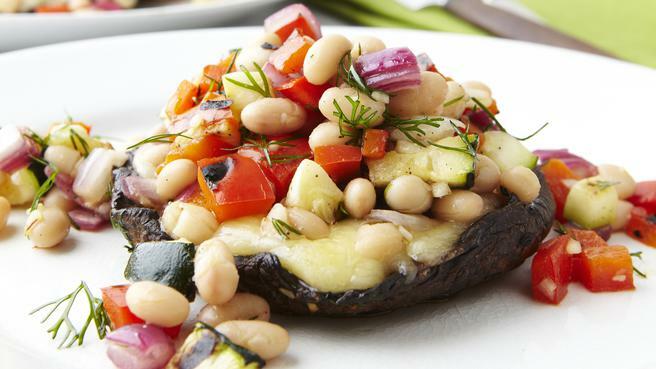 This salad of grilled vegetables and beans tossed with lemon and dill tops grilled portobello mushrooms smothered in melted fontina cheese. 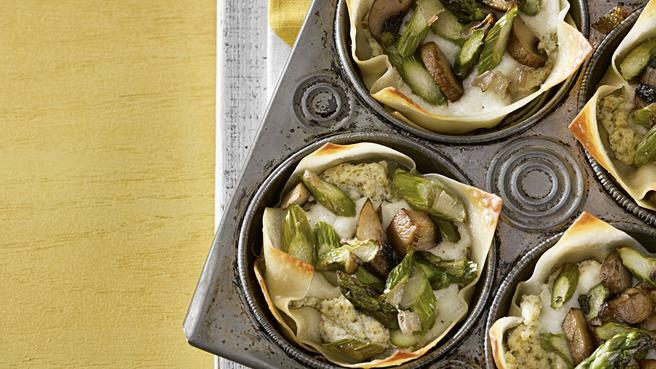 See how to make cute healthy mini lasagnas in your muffin tin using wonton wrappers instead of noodles in this quick, how-to recipe video. 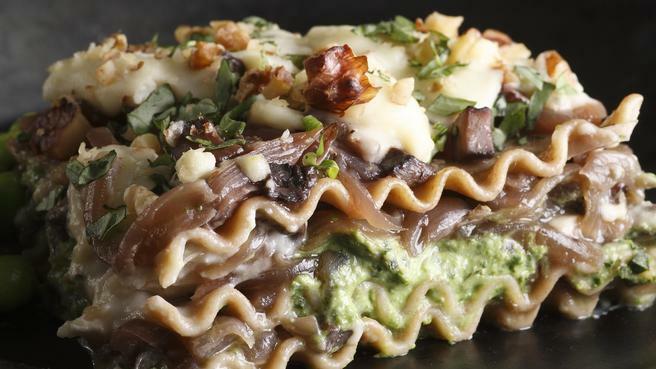 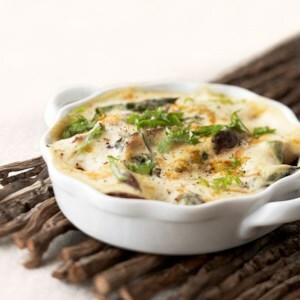 This unusual lasagna with portobello mushrooms, sweet onions, spinach and Gorgonzola cheese has a rich, complex flavor. 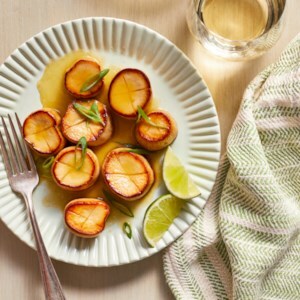 King oyster mushrooms stand in for shellfish in this look-alike vegan scallop recipe. 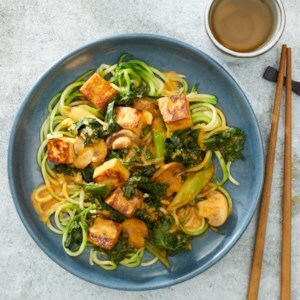 The seaweed in the recipe helps add that characteristic flavor of the sea, while tamari and vegan Worcestershire amp up the umami. 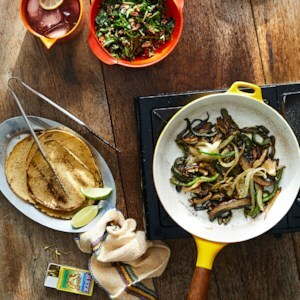 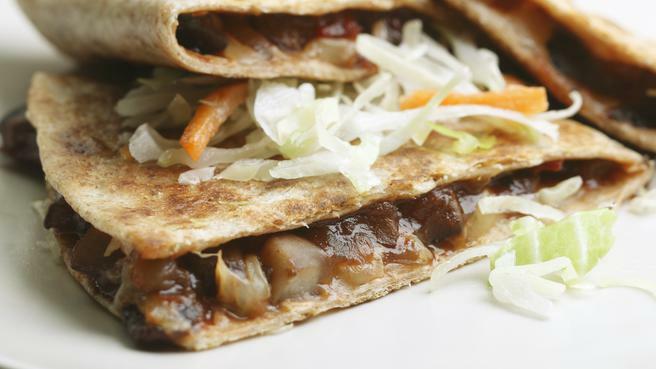 These easy one-skillet mushroom fajitas are a perfect way to work more vegetarian meals into your week. 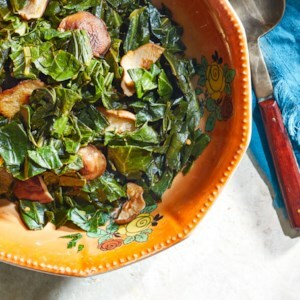 The lime and arugula salsa adds nice crunch courtesy of pecans, while crumbled queso fresco provides just the right tangy, salty balance to the dish. 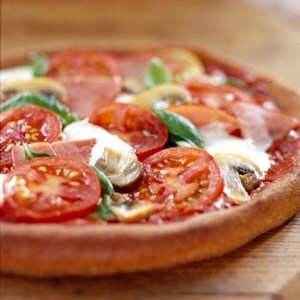 With pizza-style Canadian bacon and a four-cheese blend to boost the seasonings, this mouthwatering pizza is loaded with flavor but has only 216 calories and 6 grams of fat per serving. 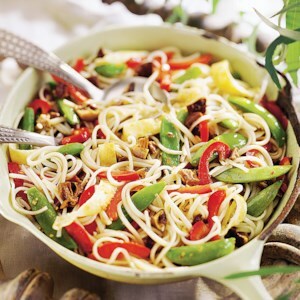 This veggie lo mein dinner is easy to make and quick--it will be on your table in less time than it would take you to order online and have it delivered. 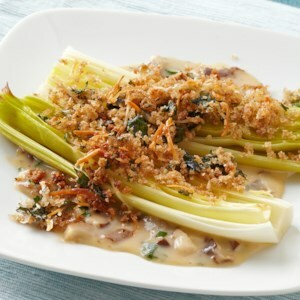 The mild, oniony taste of leeks is enhanced by an Italian-seasoned mushroom sauce and a crunchy Parmesan and panko breadcrumb topping in this easy side dish recipe. 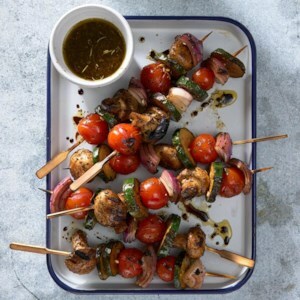 Tender vegetables soak up this tangy marinade and turn delicately smoky and tender on a hot grill. 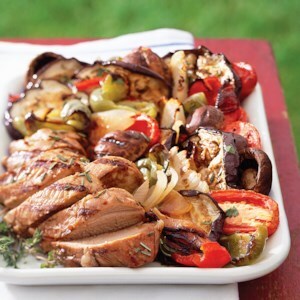 These kebabs make a wonderful side dish with grilled meats or fish. 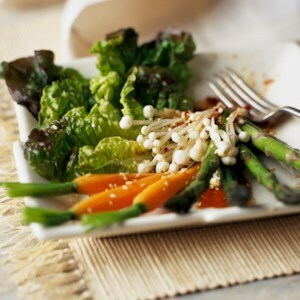 Quick-chilling the asparagus and carrots in ice water is an important step in this recipe. 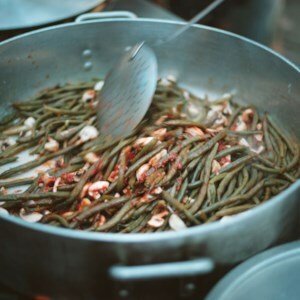 It stops the cooking process of the vegetables so they don't overcook and go limp. 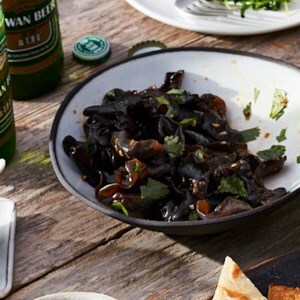 Mushrooms add flavor and a meaty texture to this vegetarian pasta dinner. 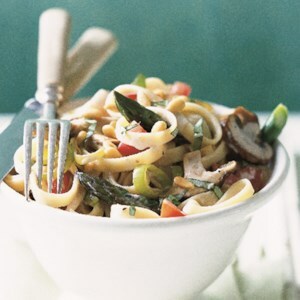 Evaporated fat-free milk makes a rich sauce that's lower in fat than the traditional recipe so you can feel good indulging in this creamy fettuccine recipe.